The problem started as the National Thermal Power Corporation or NTPC was forced to commence generation from the Dadri and Badarpur power plants all of a sudden with a rise in power demand due to heat wave conditions in the country. 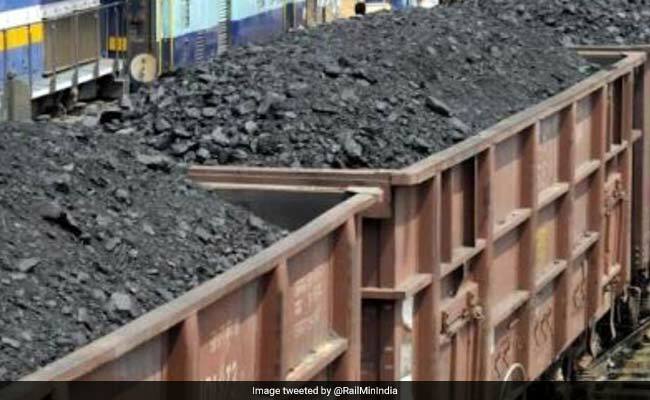 Kolkata: With coal stock of some power stations in the national capital region falling to an alarming level, Coal India and Railways are rushing coal supplies to Dadri and Badarpur power plants of the NTPC. A Coal India statement issued tonight said against the linked requirement of seven rakes to these plants, movement of at least 10 rakes are planned to avert the crisis. The problem started as the National Thermal Power Corporation or NTPC was forced to commence generation from these two plants all of a sudden with a rise in power demand due to heat wave conditions in the country. The government has also instructed the CIL, Singareni Collieries Co Ltd and the Railways to attach top most priority in allocation of rakes for coal movement to power plants till such time the demand from coal-based thermal power plants gets stabilised with the onset of monsoon and increase in hydel and wind power. These two power stations cater to major share of the power demands of Delhi and NCR. Based on the demand for power projected by the Delhi government, NTPC had shut the units of Badarpur TPS for long, it said. One of the units of the Dadri power plants was also taken up for maintenance. Therefore, coal against the linkage of the shutdown generation units of Badarpur and Dadri power plants were supplied to other plants of the NTPC, the statement said. "The crisis could have been averted had Delhi government placed a proper power demand with NTPC with sufficient advance notice," the CIL release said. Delhi Power Minister Satyendar Jain had on Friday said that the coal stock at some power stations in the national capital region has dipped to an "alarming" level and if it is not replenished at the earliest, Delhi could be staring at "black-out" situations. Mr Jain had said that he has already written to Coal and Railway Minister Piyush Goyal apprising him about the situation and sought his intervention into the matter.